6 Days In The Dome returns in 2019 and if you’re not already signed up it may be the waiting list for you. A few extra spots opened up yesterday in the 48 hour but traffic is pretty heavy there too, leaving space at either of the two 24 hour races if you want to be part of this. 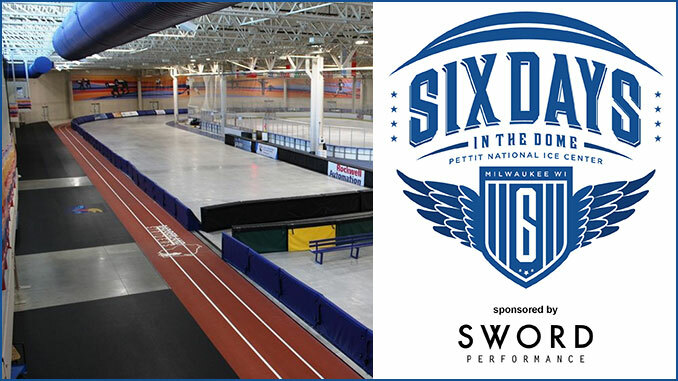 The event will take place at the Pettit National Ice Center in Milwaukee starting Friday August 23rd with the 6 day kicking off on Sunday 25th. The field is pretty exciting with a slew of big names past and present including the inspiration behind this and the Alaskan original race, Joe Fejes, no doubt trying to crack 1036.800 km set by the master himself in 2005. Several 800 km plus runners will be there including Mick Thwaite (AUS) who recently won the EMU 6 day race in Hungary, Sottish record holder William Sichel (SCO), Budjaergal Byambaa (MGL) ran a 800 km split at the Sri Chinmoy 10 day in April. Olivier Leblond (USA) who ran 421.939 in 48 hours will be wondering if that will convert into something awesome. Pete Kostelniick (USA) ran 263.418 km in 24 hours in 2015 and recently ran 663 km at 3 days at the Fair last month in his first 6 day. Bob Hearn (USA) will no doubt be up there too. The women’s event brings Charlotte Vasarhelyi (CAN) Traci Falbo (USA) and Pam Smith (USA) together along with Amy Mower (USA) and Liz Bauer (USA) who holds a bunch of records will be in the mix as well. Checkout the entrants on Ultrasignup.